In the run-up to the Lok Sabha elections later this year, the Election Commission of India (EC) has chalked out a stringent plan with different enforcement agencies to ensure that there are no illegal cash transactions during campaigning. 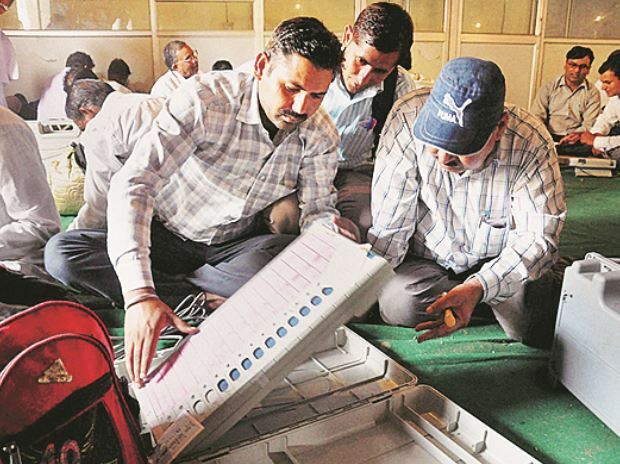 On February 2, the EC officials met their peers in the income-tax (I-T) department and other agencies, and asked them to monitor election expenditure of each candidate. An official privy to the development said tabs will be kept on unofficial cash flow. At present, the I-T department seizes cash of unexplained transactions of Rs 10 lakh or more. The EC also met senior officials of the railways, customs and excise, transport departments and the police, and constituted a high-level monitoring panel. They will monitor pre- and post-election activity. The tax department is also keeping an eye on all donations to political parties. If a donation is above Rs 2,000 in cash, the donor might face scrutiny. “We will scrutinise the mode of donation. The I-T department will match the total value of bonds sold by banks with the audited account of political parties,” said an official. The department had last year released an advisory, limiting cash donation to a registered political party. The government had in the Budget last year launched the “electoral bond” facility. Donors can buy these bonds from the State Bank of India and a few other banks. Even through the Representation of the People Act, 1951, exempted parties from declaring funding made through bonds, the I-T Act requires them to disclose the total income from this source. The EC has also asked all departments to deploy round-the-clock flying squads, quick-response teams, and high-tech machinery to check money inflow. They are also to examine vehicles passing though check-posts. In the elections of 2014, the EC had announced that it seized Rs 300 crore. The highest amount, Rs 153 crore, was seized in Andhra Pradesh, followed by Karnataka and Maharashtra. Besides central agencies, the EC would also meet state departments and ask them to keep check on the fund flow. Central agencies have been also asked to list states where they suspect the higher chances of unaccounted money flow.